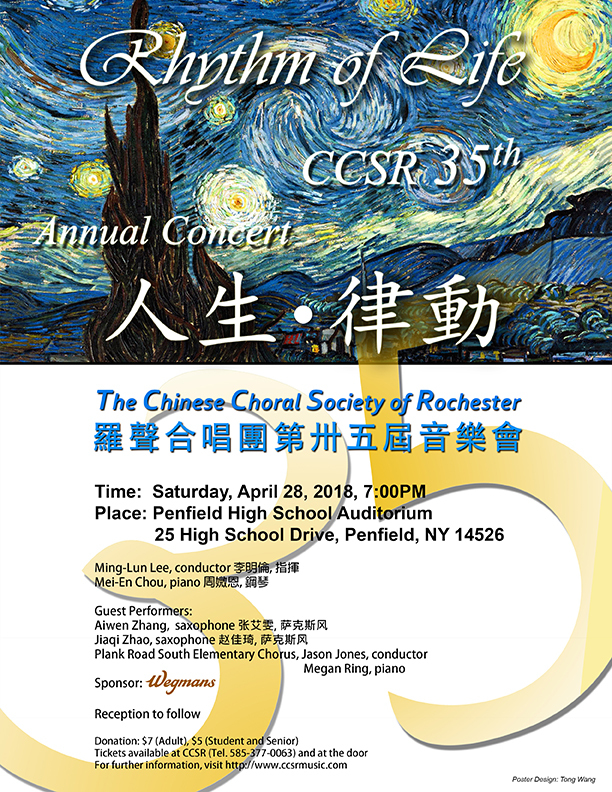 The Chinese Choral Society of Rochester (CCSR), directed by Dr. Ming-Lun Lee, will present its 36th Anniversary Concert in the Penfield High School Auditorium on Saturday, May 11, 2019, at 7:00PM. 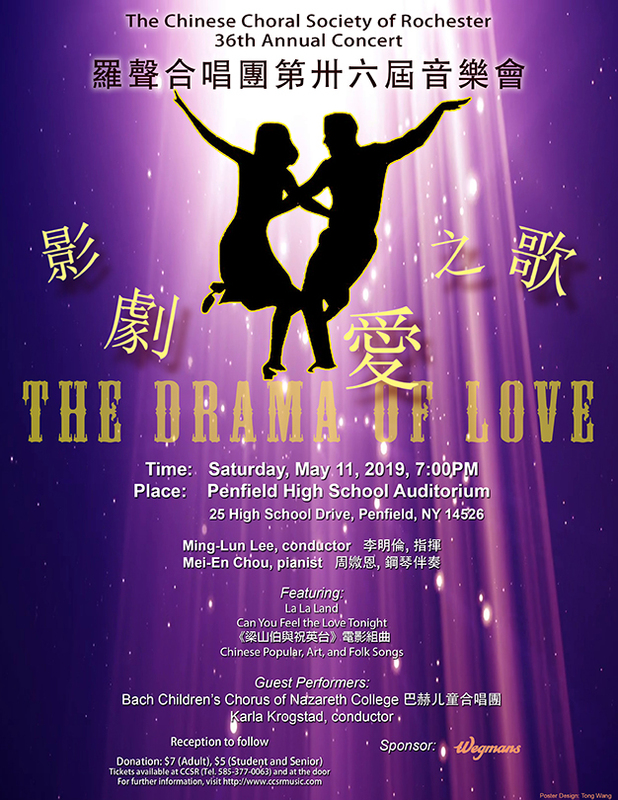 Under the theme of “The Drama of Love”, this concert features movie theme songs “La La Land”, “Can You Feel the Love Tonight” and Choral Suite of the 1963 Chinese movie “The Love Eterne” ,《梁山伯與祝英台》, as well as other Chinese Popular, Art, and Folk Songs. The concert also includes a special performance of the Bach Children’s Chorus of Nazareth College, conducted by Karla Krogstad. All the song lyrics of the chorus performances will be automatically displayed in both Chinese and English on the stage screen for the audience in real time. Ticket donations are $7 for adults and $5 for students/seniors. Tickets are available at the door. 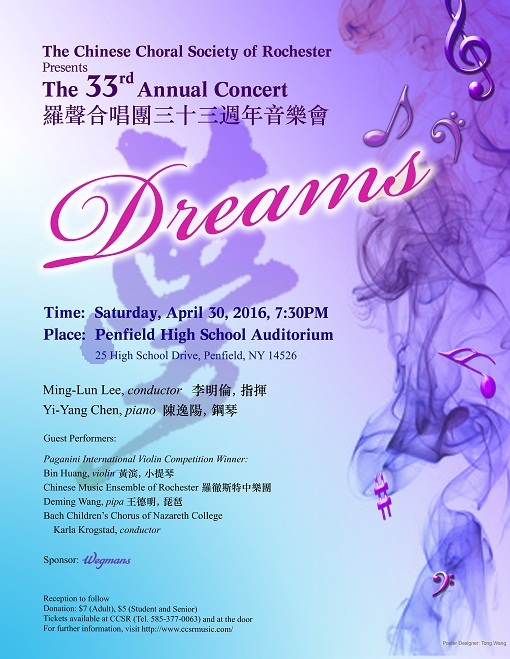 For further information, please see the attached concert poster and visit the CCSR website at www.ccsrmusic.com. 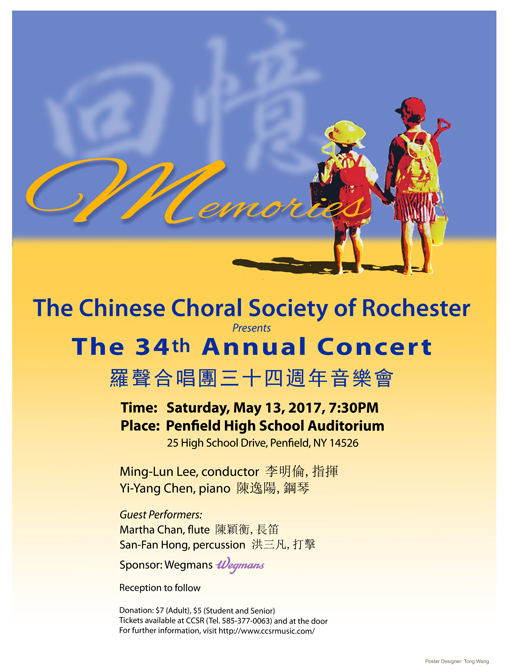 The Chinese Choral Society of Rochester (CCSR) was established in 1983 and incorporated in October, 1986 as a non-profit educational organization. 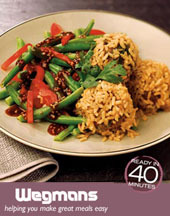 The Society obtained IRS 501 (C) (3) tax exempt status in October, 2012. 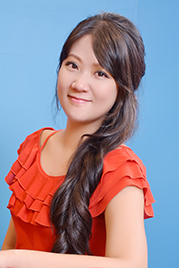 The mission of the Society is to promote the appreciation of Chinese culture through choral singing and concert performance. 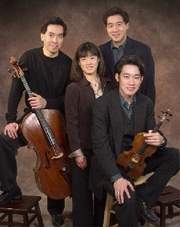 The Society focuses mainly on Chinese repertoire to introduce Chinese heritage and to promote cultural exchange within the community by holding annual concerts in Rochester. 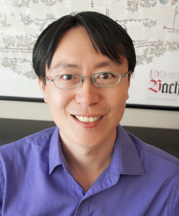 The CCSR has been invited to perform in Ottawa, Toronto and New York City. For many years, the CCSR has been awarded DEC Arts Grants by the Arts & Cultural Council for Greater Rochester. 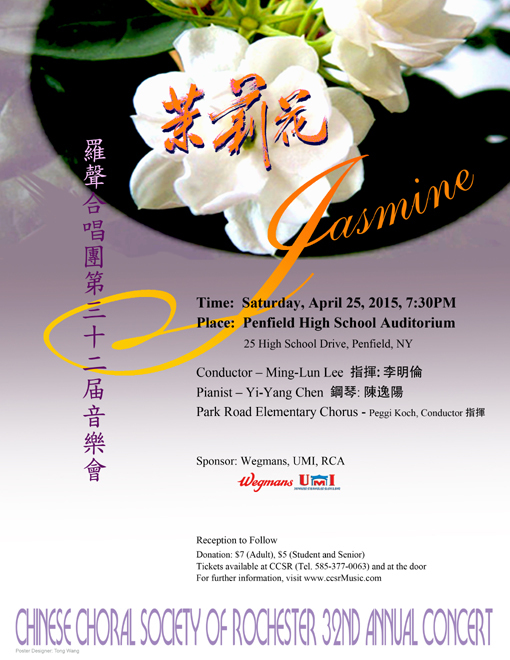 The CCSR has brought Chinese music to many young students by collaborating with local schools such as the Mendon Center Elementary School Choir, Fairport High School Polyphonic Choir, Park Road Elementary School Chorus, Calkins Road Middle School Choir, Jefferson Road Elementary Chorus, Fairport Northside Elementary School Chorus, the Bach Children’s Chorus of Nazareth College, and the Plank Road South Elementary Chorus. 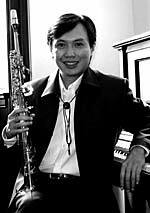 In March, 2014, CCSR was invited to have a joint concert at Keuka College. In 2015 CCSR was selected to participate in the RACF Annual Luncheon Event Exhibition. The current President is Arthur Loomis. We look forward to many more years of cultural exchange with the greater Rochester community.